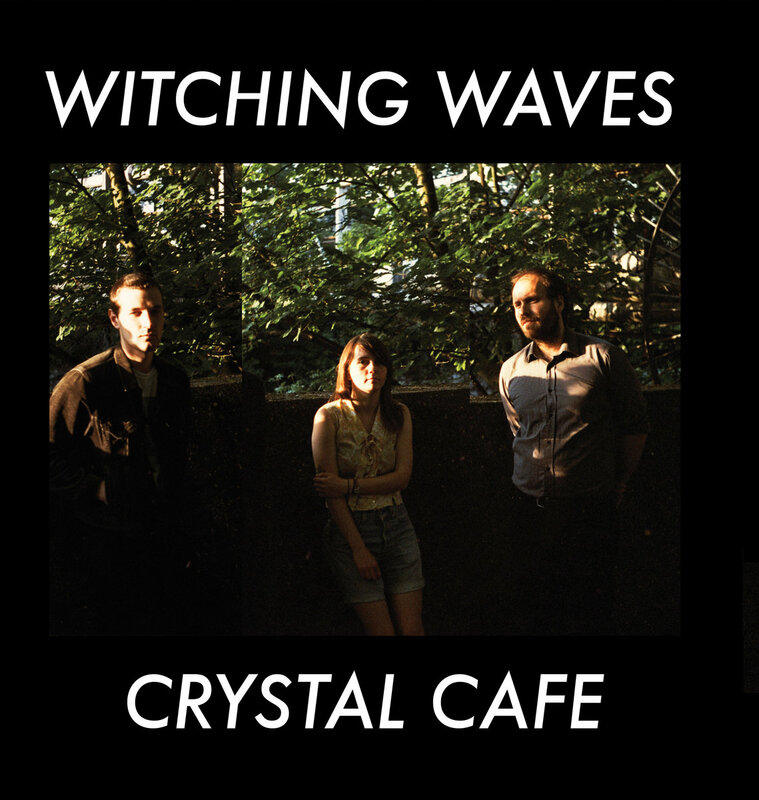 For Crystal Cafe, the second outing from London's Witching Waves, the trio changes skins from noise pop fuzzy to rocker leather. There still is plenty of melody, but with a more straightforward and aggressive sound. If your ears get the impression that the Shop Assistants are channeling Sonic Youth, you have good ears. You probably also have happy ears. Every note sounds like it is played with intent and confidence, an 11 track exploration of timeless rock expressions. Thus you have the in-your-face assault of "Twister", "Pitiless" and the magnificent "Red Light", the saucy garage rock "Make It Up", punk rock such as "The Threat", the fuzzy "Receiver", and the menacing mid-tempo closer "Flowers". And for a change of pace there are the ambient instrumental interludes "Red Light Loop", "Anemone" and "Inoa". Showcasing the group's power and breadth, Crystal Cafe should earn Witching Waves new fans on both sides of the Atlantic. Witching Waves are Emma Wigham, Mark Jasper and Ed Shellard. Crystal Cafe is released in the United States by HHBTM Records. In the UK, Soft Power Records (Scotland) is offering limited edition vinyl with a digital download included.